all natural line of CBD products that help people live healthier and more active lives! Advancing CBD Hemp Extracts from Seed to Shelf. Nature's Gift to your Health! 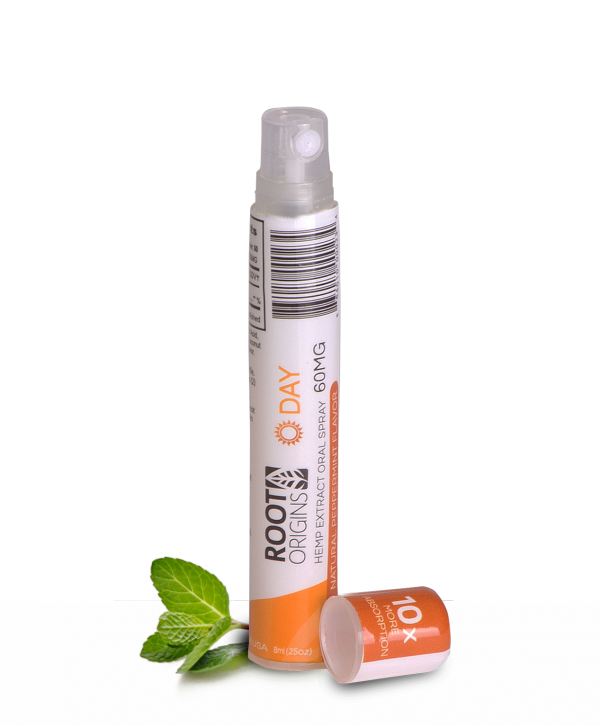 Root Origins products are engineered using all-natural products with no artificial chemicals. The studied effectiveness of pure CBD (1mg/spray) is that users Heal Faster, Sleep Better, and Live Stronger! Our Day spray ensures maximum nutrient absorption levels required for a full day of the activities you truly want to engage in! Our Night spray will then help get the perfect sleep you have always dreamt of! And true to our core values, our products are free of pesticides, herbicides, or synthetic chemicals. 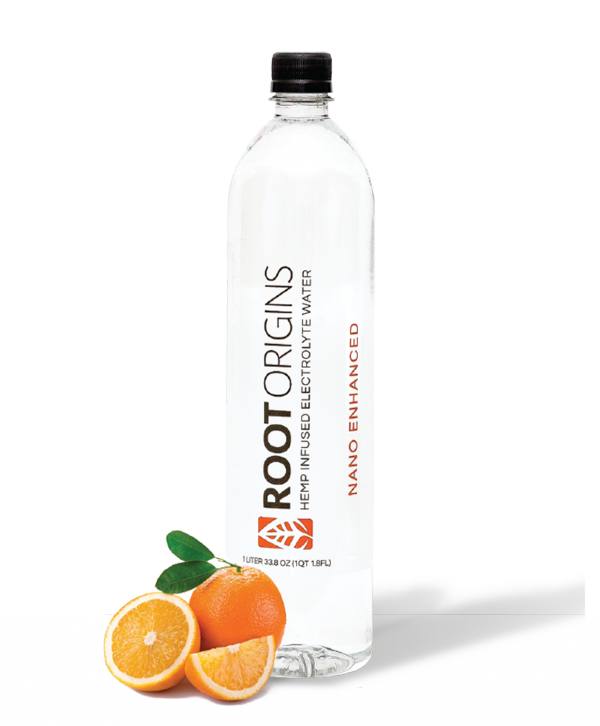 Root Origins is proud to offer Nano Full Spectrum Sublingual Oral DAY Spray, to give you the amazing benefits you’ve been hearing about in a fast acting and convenient package. 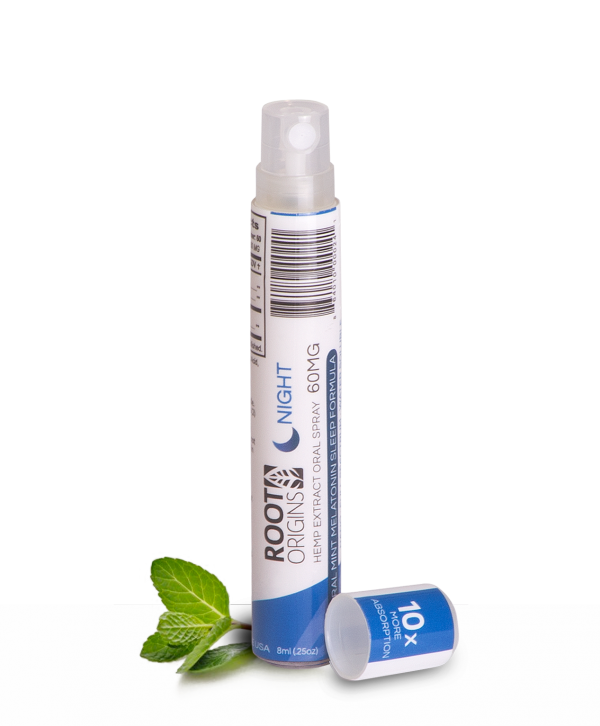 Root Origins is excited to present, The NIGHT Spray .The first CBD Sublingual Oral Spray combined with Melatonin, GABA & Valerian root to help you get a better night’s rest. 8mg of CBD in each liter. Enjoy the healthy benefits of alkalized water with another natural wonder of the world Hemp derived CBD! Find out more information about how hemp can benefit you. Check out our blog for latest information on Hemp. The gamma-linolenic acid (GLA) in hemp seeds produces prostaglandin E1, which reduces the effects of the hormone prolactin. With all of the essential amino acids and an amount of protein similar to beef (by weight), hemp seeds are an excellent form of plant-based protein. We like to treat our customers special! On subscribing to our newsletter, you will receive a 10% sign up discount for your first order. Don’t worry we won’t spam you! I first bought DAY spray for my mom, but when she told me how many reasons she found it useful, I started using it myself and couldn't be happier that I did! After having a bad car accident. DAY spray has been a game changer for me and a vital component in my daily routine. I have had the best sleep in years. Nothing had worked until I was recommended Night Spray. Not only do I enjoy deep sleep, but I've enjoyed the many benefits. The statements made regarding these products have not been evaluated by the Food and Drug Administration. The efficacy of these products has not been confirmed by FDA-approved research. These products are not intended to diagnose, treat, cure or prevent any disease. All information presented here is not meant as a substitute for or alternative to information from health care practitioners. Please consult your health care professional about potential interactions or other possible complication before using any product. The Federal Food, Drug and Cosmetic Act requires this notice.